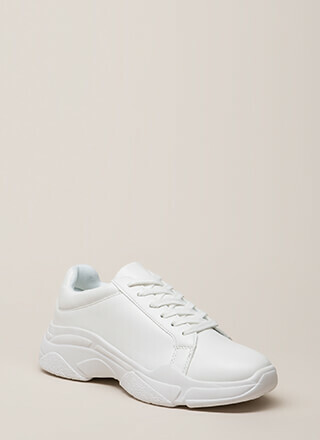 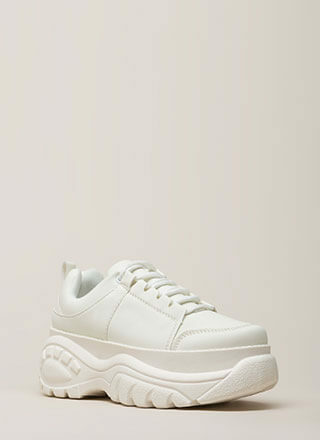 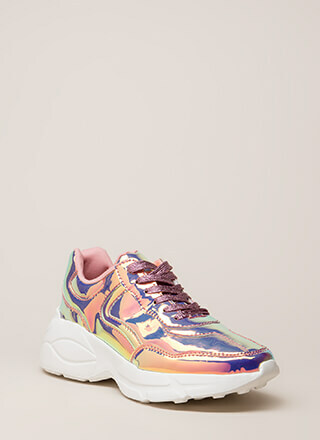 These babies definitely turn up the volume on your regular ol' tennies. 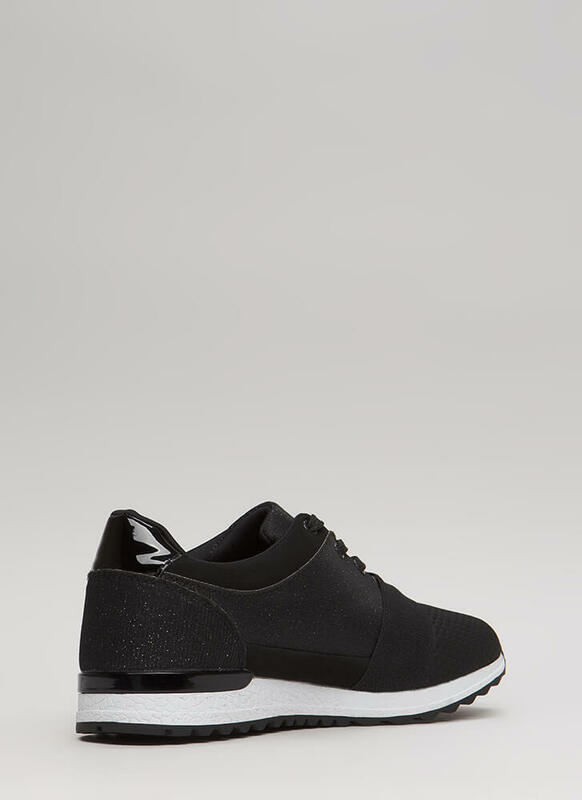 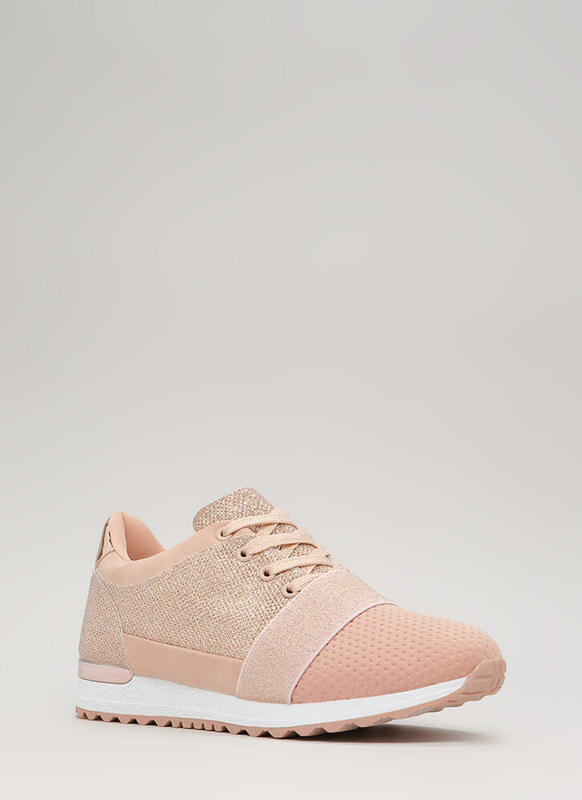 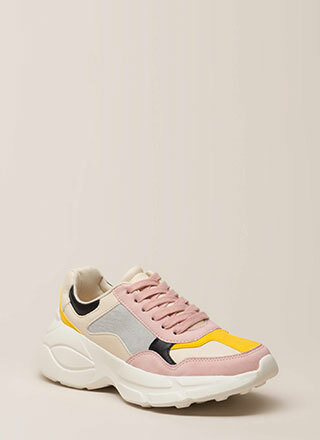 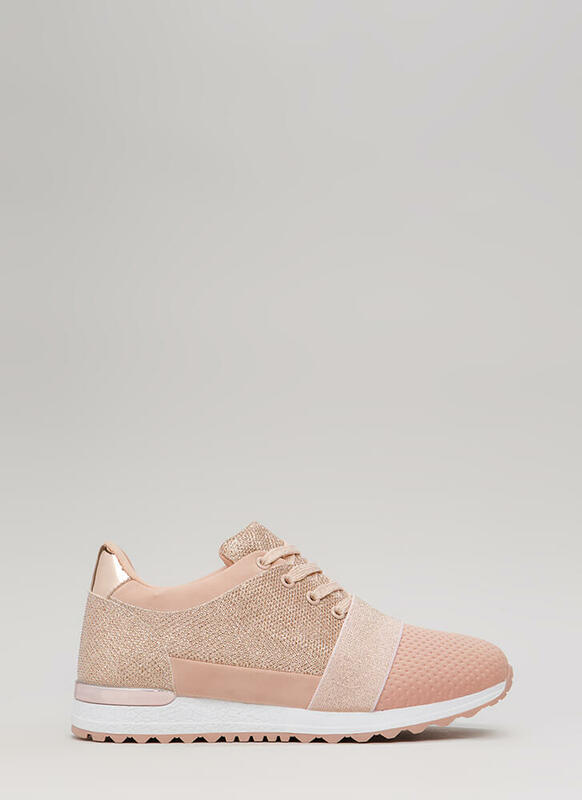 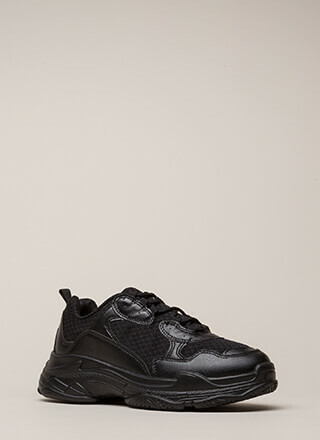 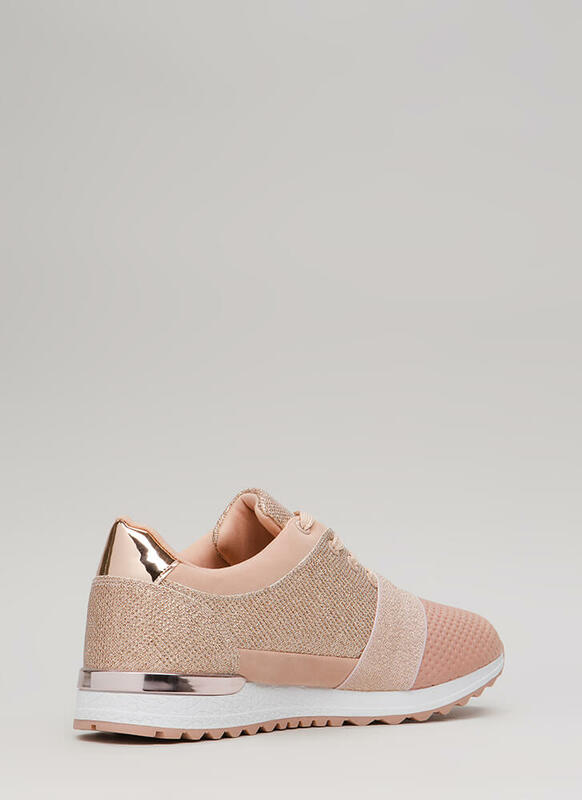 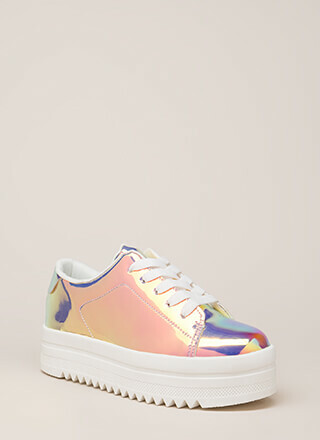 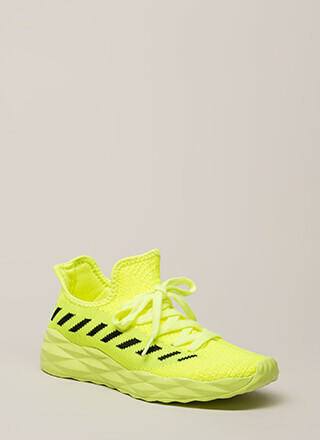 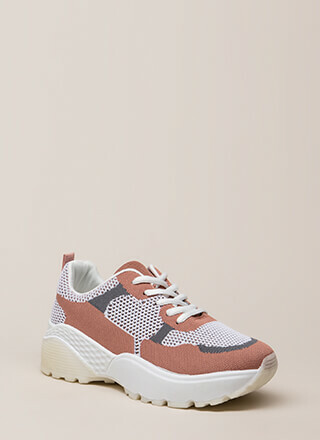 Sparkly sneakers feature a glittery mesh body, a lace-up front partially covered by an elastic band, and a contrast platform with a patterned sole and a crackled surface. 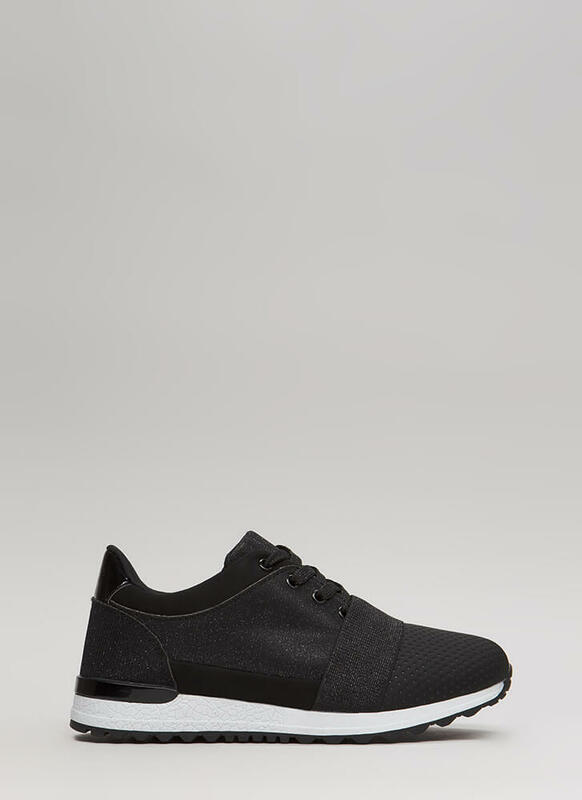 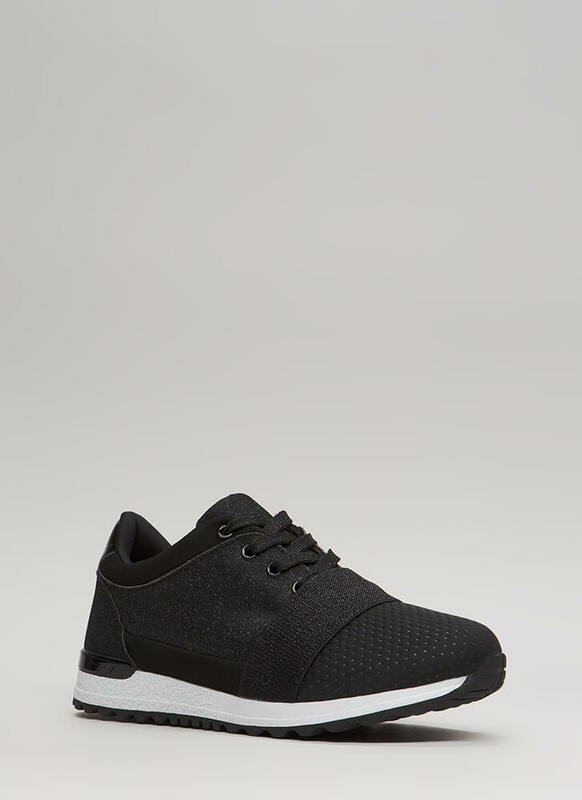 Shoes are finished with a padded opening, a perforated toebox, and vegan patent leather accents.